Kids stuff can be overwhelming. 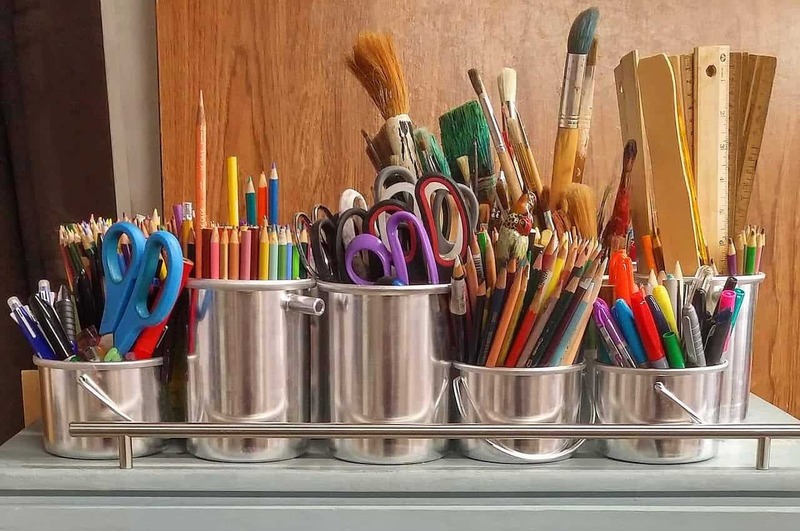 All of the stuff kids come with can be overwhelming, and when it comes to organizing arts & craft supplies for kids. 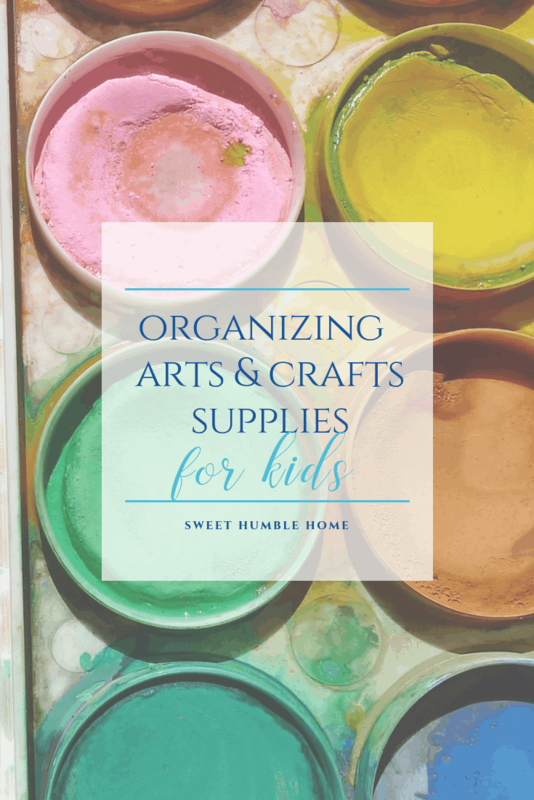 Here are some of my hints for organizing arts and crafts supplies for kids as well as those additional school homework supplies. Always my number one go-to: baskets. We keep a basket of the school essentials right on the table he uses in the living room. In this basket, I use Mason Jars to hold school pencils, colored pencils, and twistable crayons. All good homework essentials. Also included are scissors, glue sticks, a ruler, and a pencil sharpener. A box of regular crayons is also in this basket, along with writing paper, and practice workbooks. Take a look at these Honla Weaving Rattan Plastic Storage Baskets/Bins Organizer with Handles. Plastic baggies. I used to think that my grandmother was obsessed with plastic baggies. Every single thing in her basement was lovingly protected by a plastic bag. Now I see the value! Overflow goes into baggies, and is stored out of sight in the drawers I keep specifically for arts & crafts. This includes, pom pom balls, glitters, foam shapes – anything that you can use to create something fun. Lately my little guy has really been into drawing, so we have A LOT of paper. We have construction paper, sketch pads, coloring books, you name it. I keep all of these together, in a drawer. He knows where his supplies are and he can get to it whenever he’d like. Another organizational tip I have for supplies like this is to keep an old backpack in the car filled and ready. This backpack includes a sketch pads, a coloring book, crayons, and colored pencils. I also have a laptop desk he can use for longer trips. The sides have zipper compartments that can hold writing utensils. I also keep simple, ready to make crafts in this bag (you never know when you’ll be stuck in traffic and it’ll be there already for planned trips). This Crayola Art Buddy Backpack, Art Tools Kit, Pip-Squeak Character Carrying Case, is great for the car and for home! 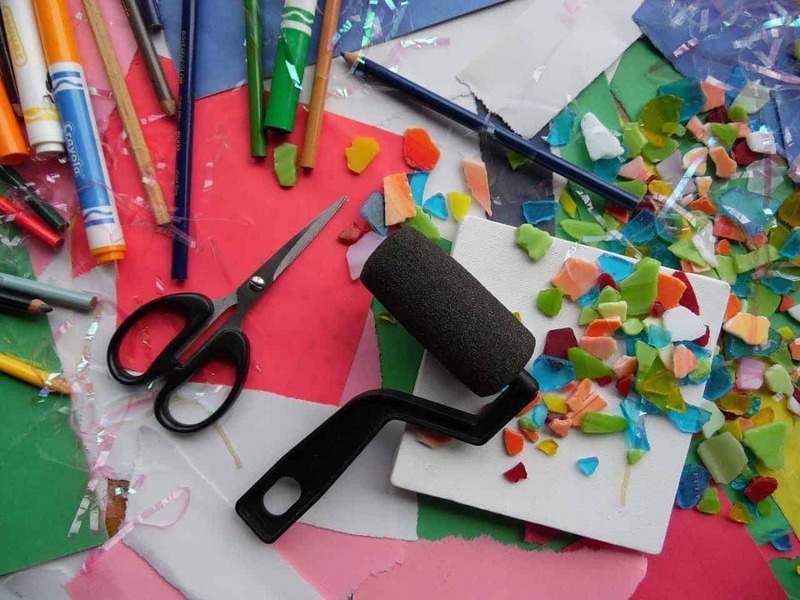 Hey – organizing arts and crafts supplies for kids is a big task! What are some of your best supplies organization tips? I’d love to hear more!